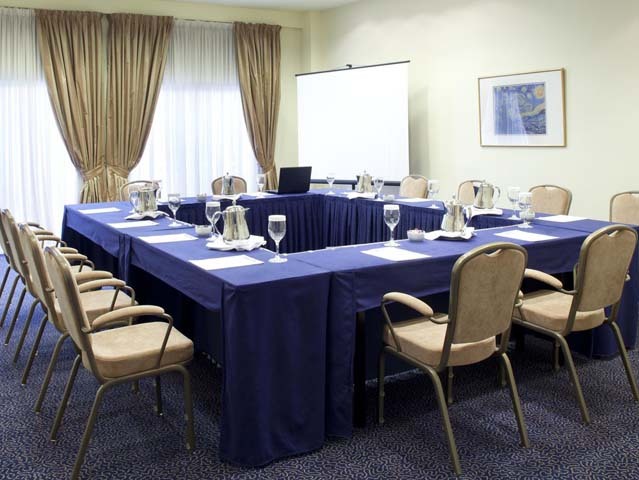 Located in the centre of Thessaloniki, only 500 m from the central train station, Holiday Inn Thessaloniki features 5 fully equipped meeting rooms, an air-conditioned mini gym. 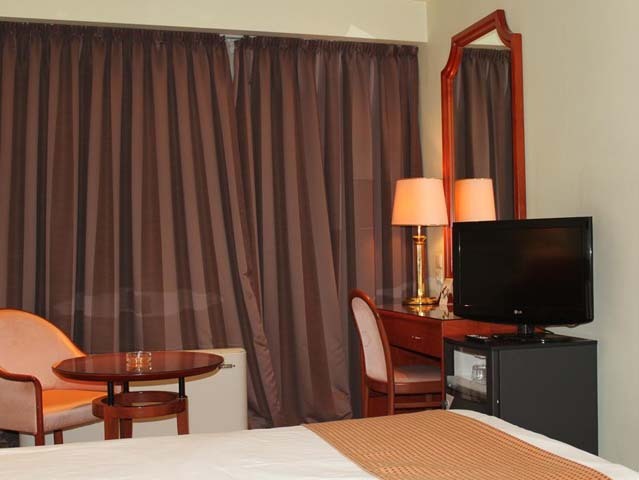 Rooms at the Holiday Inn come with a cable/satellite TV and Pay TV. 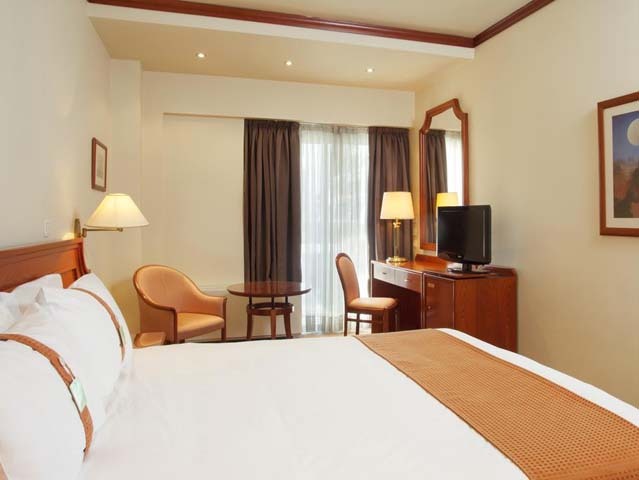 Climate control, in-room safe and work desk are also included. 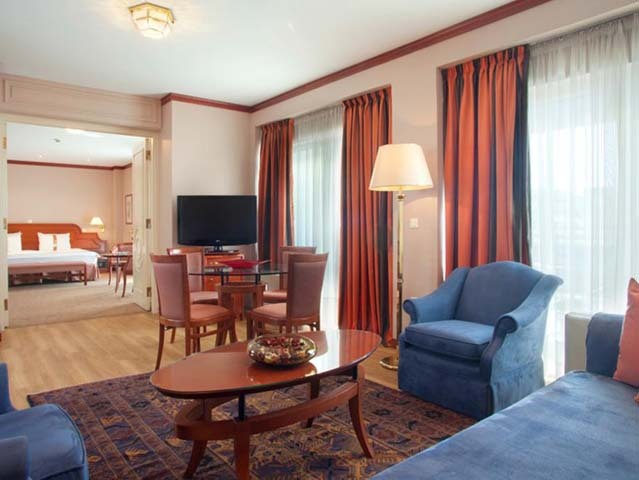 Holiday Inn Thessaloniki is 1 km from the port and Thessaloniki’s bustling streets and local attractions. 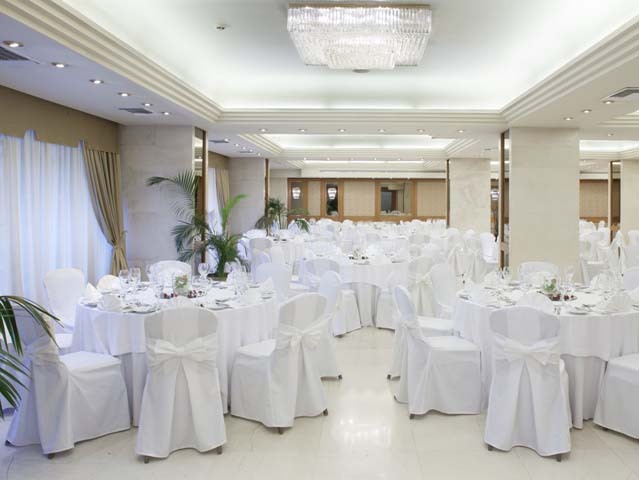 At the Aristotelis Restaurant a rich buffet breakfast is served, as well as Mediterranean cuisine for lunch and dinner. Guests can enjoy drinks and cocktails at the laidback Capitol Bar. 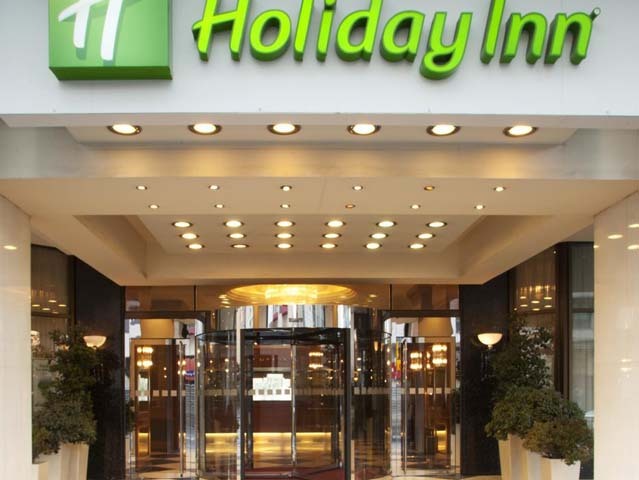 Holiday Inn Thessaloniki is 16 km from Makedonia International Airport. 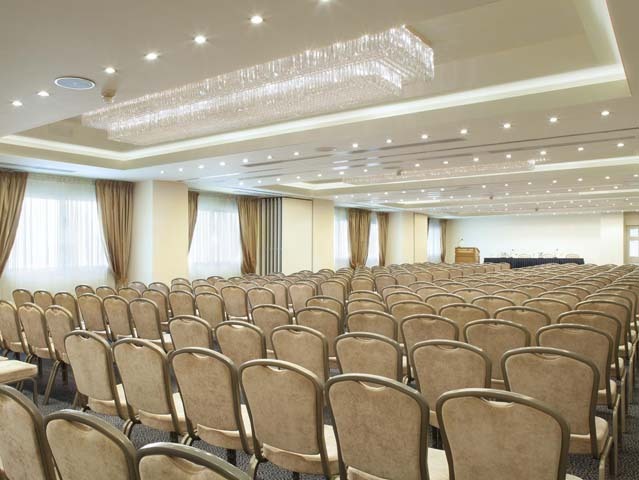 The Ioannis Vellidis Congress Centre is 2 km from Holiday Inn. 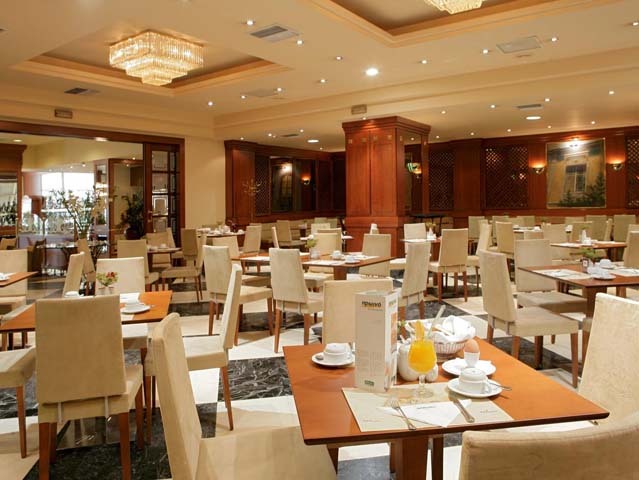 The Aristotelis Restaurant is located in the Hotel and serves Breakfast, Lunch and Dinner. 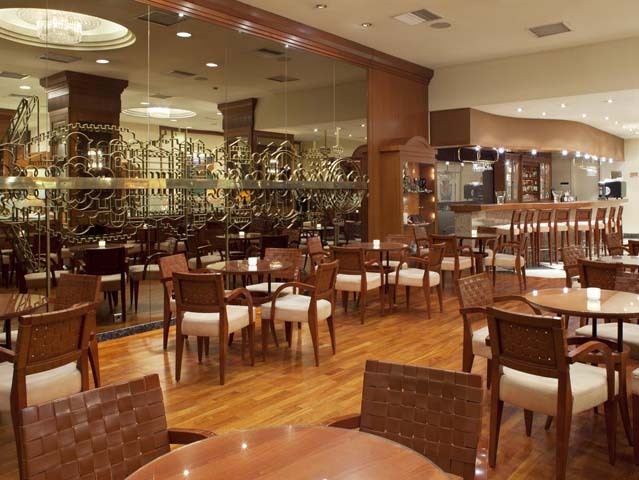 It opens for Breakfast, Lunch and Dinner featuring Greek and International cuisine both a la Carte and Buffet style. 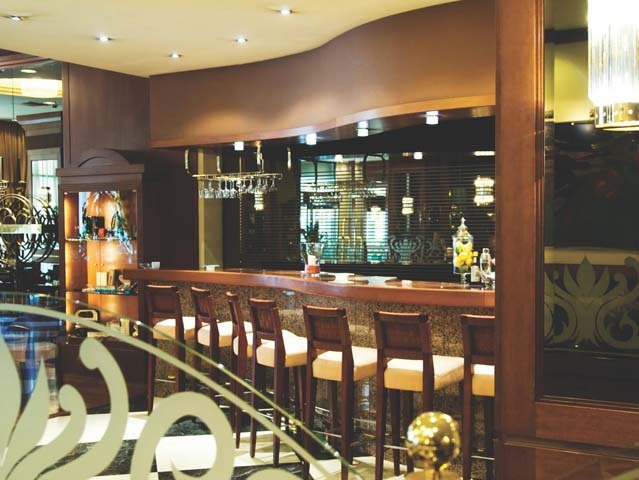 The Capitol Bar is situated on the Lobby level and offers a wide selection of drinks and cocktails, as well as elegant snacks. 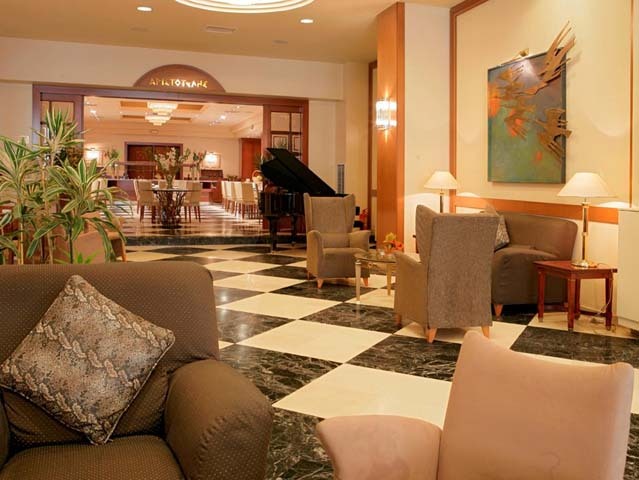 Enjoy Greek and International music from the Pianist from 19:00 to 23:00. 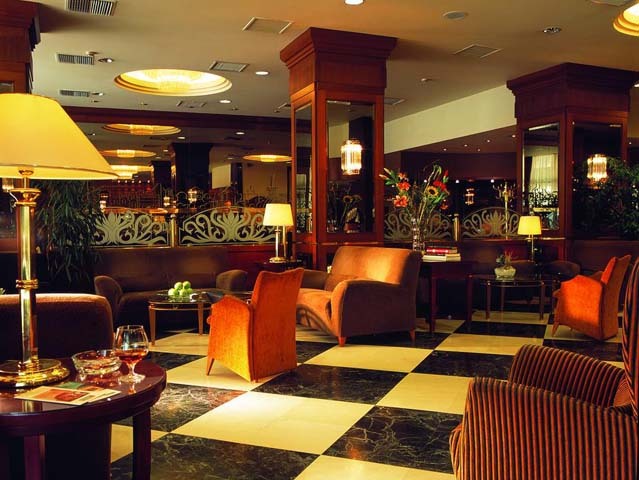 Lobby lounge Cafe: Coffees, snacks beverages, soft drinks and fresh fruit juices daily from 09:00 to 17:00. 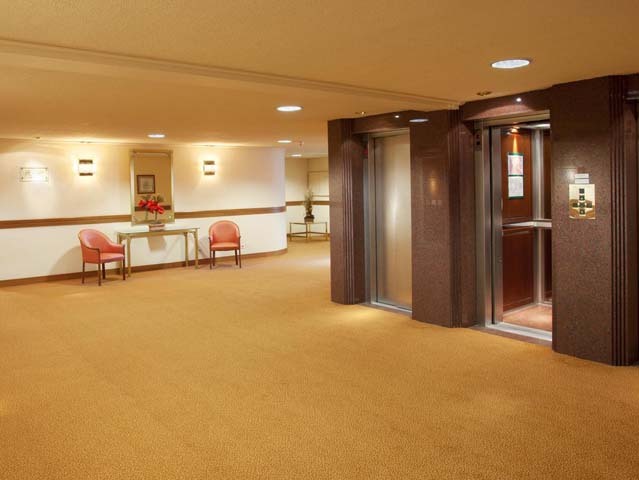 The Hotel consists of 8 floors with 177 Guest Rooms - Singles & Doubles and 12 Suites. 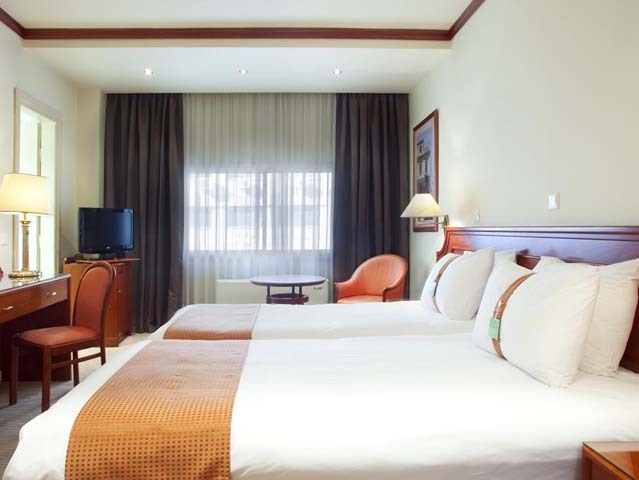 The Hotel's stylish air-conditioned Rooms and Suites are fully equipped to provide every comfort. 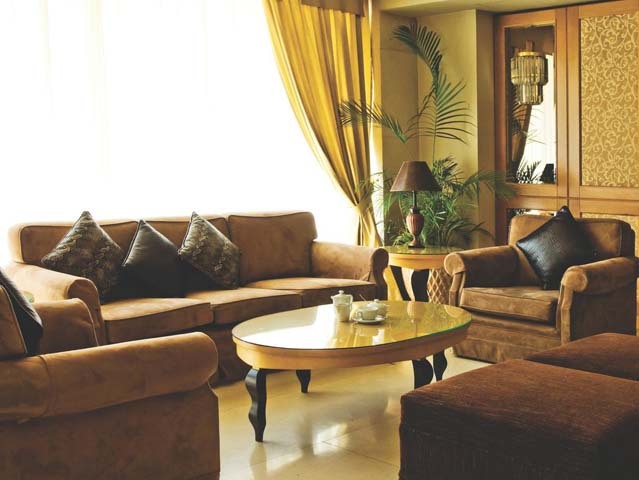 They are designed for both luxury and convenience. 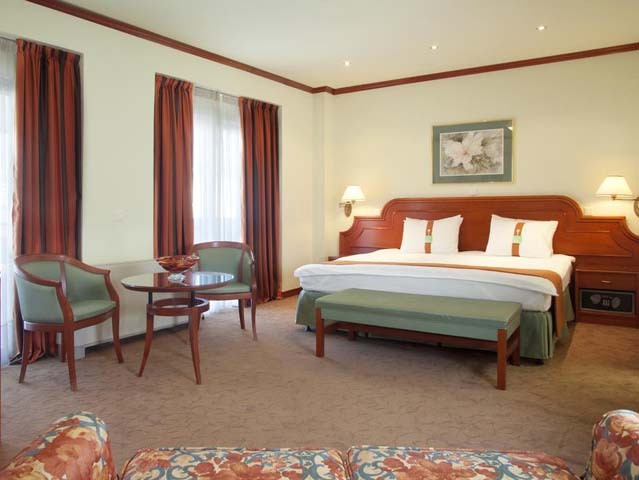 Each of the Guest Rooms has everything you would expect from a Superior Hotel. 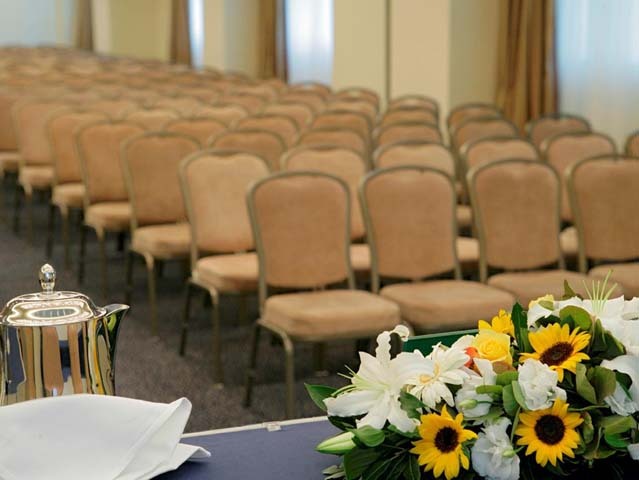 Situated in the heart of the City, Holiday Inn Thessaloniki offers a superb service, excellent facilities and immediate access to the commercial and cultural Centre of the City. 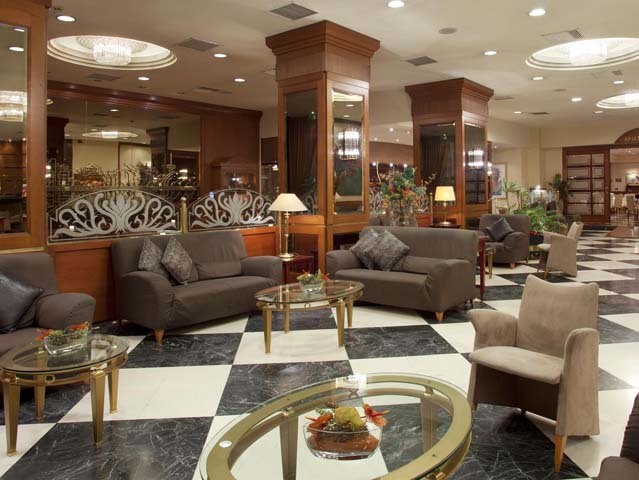 The Hotel is located in Thessaloniki, 30 minutes - 16 km, from Macedonia International Airport, 200 metres from the Railway Station, an hour from some of the most beautiful Beaches in Greece and other historical attractions. 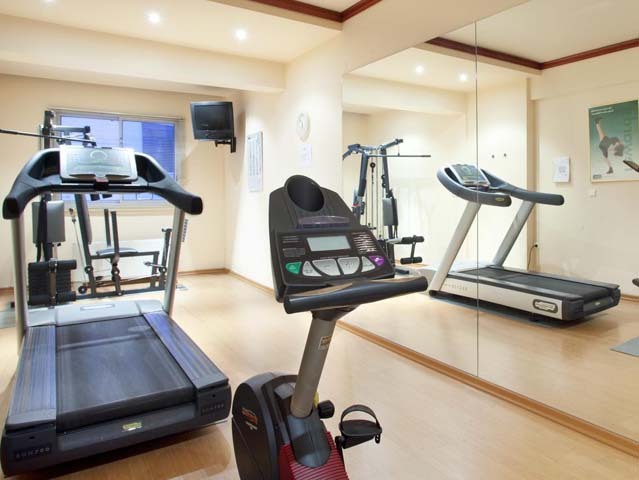 There are shopping, entertainment and business areas nearby. 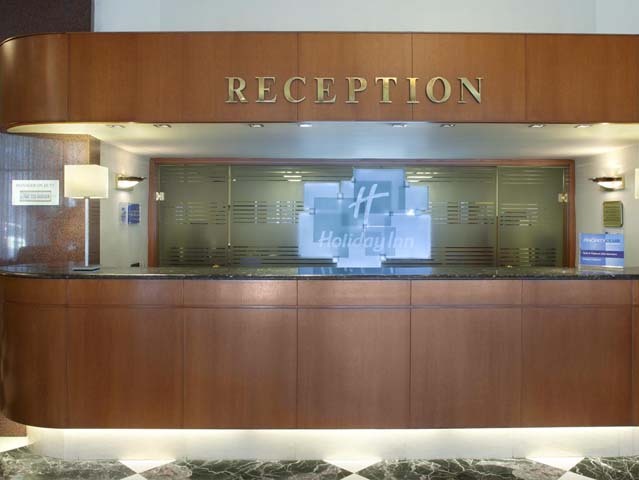 Open All Year...Situated in the heart of the City, Holiday Inn Thessaloniki offers a superb service, excellent facilities and immediate access to the commercial and cultural Centre of the City.